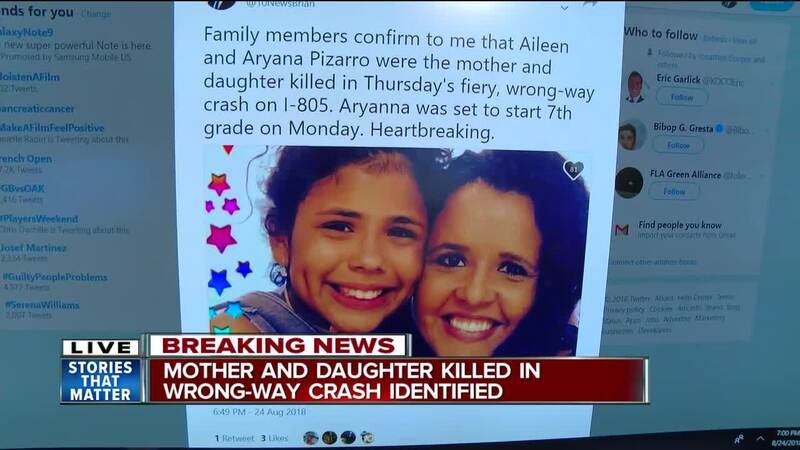 UPDATE: A family member tells Brian Shlonsky that the victims of a wrong-way crash on I-805 were Aileen Pizarro and her 12-year-old daughter Aryanna. 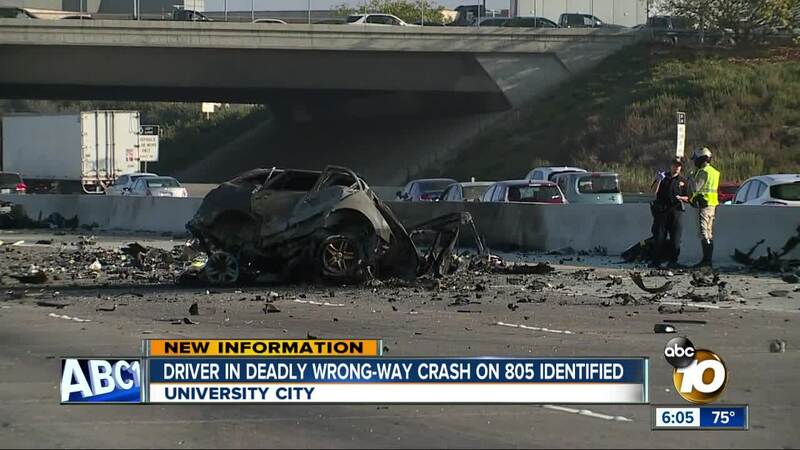 SAN DIEGO (KGTV) — The driver of the McLaren sports car involved in a fiery fatal crash on Interstate 805 Thursday and the mother and daughter who died have been identified. The mother and daughter were identified by a relative as Aileen and Aryana Pizarro. The medical examiner is using an alternative means to identify the bodies because of how badly they were burned, according to the California Highway Patrol. 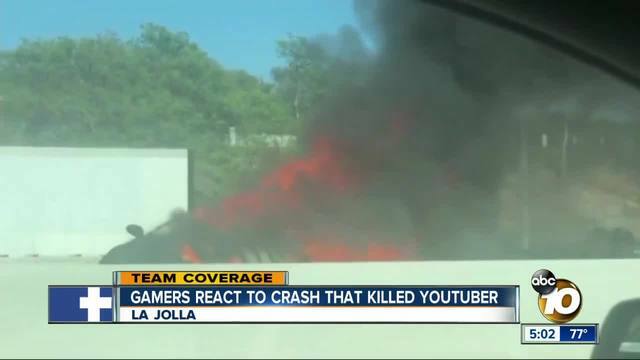 The two vehicles collided and exploded into flames, witnesses told 10News, causing a chain reaction of crashes with at least five other vehicles. The mother and daughter in the SUV died due to the fire which engulfed the vehicle after the crash, the report said. Aileen Pizarro's son started a GoFundMe account for funeral expenses. The site shows pictures from Aryanna's baptism with the Rock Church in July.